Pleasure Island Evening entertainment area opened at Walt Disney World on May 1, 1989. Disney Imagineers felt that there should be a place where guests staying on the property could find nighttime entertainment, without having to travel into Orlando. This was one of the first Disney attractions that came with a mythology all its own, about the recent discovery of an abandoned shipbuilding operation of one Merriweather Adam Pleasure that the Disney designers decided to restore. It became the location of a group of nightclubs, restaurants, a multiplex movie theater, and shops, with entertainment culminating in a New Year’s Eve celebration every night. The Empress Lilly became part of Pleasure Island. Originally, there was an entrance fee to the island only in the evenings; during the day guests could wander around the shops at leisure. 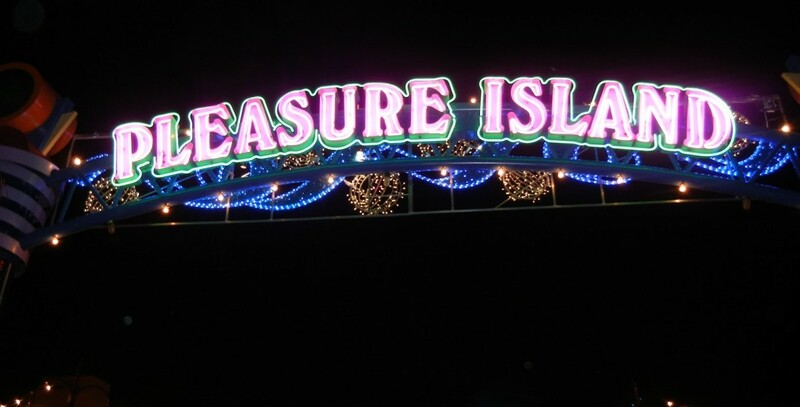 In 1996, Pleasure Island became part of the Downtown Disney complex. In 2004, entrance to the island became free in the evenings; payment was only required to enter the clubs. The Pleasure Island clubs closed on September 27, 2008, although many of the shops and restaurants remained open. It was replaced by The Landing area of Disney Springs.